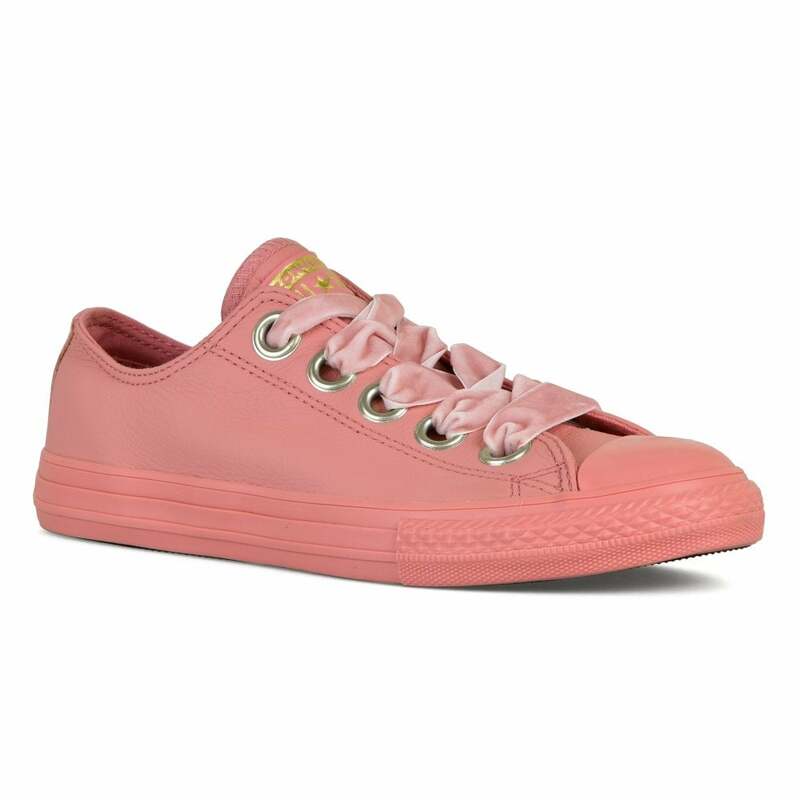 These lace-up Converse Big Eyelets Leather Trainers have a leather and are pink in colour. They have a textile lining, also in pink, and big eyelets with velvety pink ribbon style laces as well as a padded footbed. Converse branding appears on the heel and they have the classic rubber toe shell in pink. The rubber sole is also pink with a black deep rubber tread for excellent grip.